In 1978 the ground breaking radio show Hitchhiker’s Guide to the Galaxy gave us the answer to the ultimate question of life, the universe and everything. For over 30 years folks have been wondering what The Question really is. Meanwhile, also during the last a little over 30 years, Sigung Clear has been asking questions as well. He’s been asking Tai Chi masters Tai Chi questions, and Bagua masters bagua questions. He even asks his students questions so he can learn how to teach them better. Phase 1 is the answer to that question. It’s a synthesis of all the principles and techniques that are shared by several or all of these arts. And it’s broken down class by class so that students can learn these skills as quickly and easily as possible. 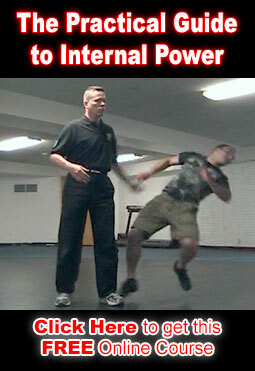 What happens when you take the most common principles from the most advanced martial arts and break them down class by class? You end up with 42 classes. P.S. Don’t forget your towel.